these 8-, 10- or 12-sided kiln shelved fit perfectly in your Skutt kiln making sure you get the most out of your kiln's inside space! Available as full and half shelves for each Skutt kiln type. All Skutt kilns can be equipped with an EnviroVent, a so-called Downdraft Vent. This device removes all harmful fumes through the kiln floor and drains them out of your studio. 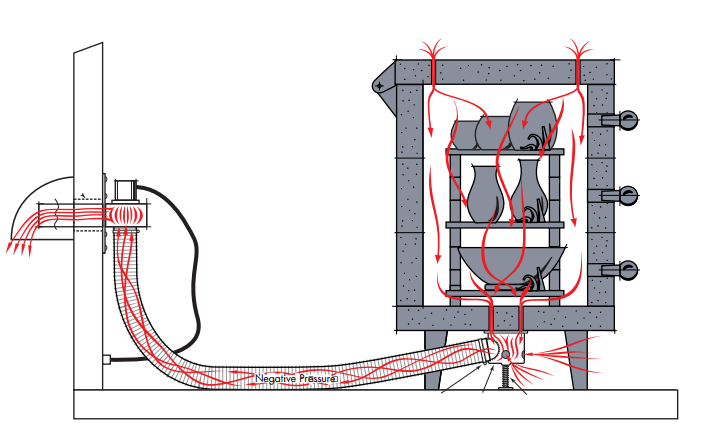 At the same time the EnviroVent improves the temperature gradient inside the kiln; this ensures a more uniform temperature distribution and also for better control on the oxygen supply within the kiln.